The Walter Peterson Forum for Civil Discourse is pleased to present a program with John Broderick, former Chief Justice of the New Hampshire Supreme Court. A decline in the character and quality of our civil discourse has become a sad fact of American life in recent years. We see it in so many places in our society. Much of the decline, however, is in the public sector where it is all too common for elected officials at all levels of government to attack colleagues of different political persuasion or opinion by impugning their motives or questioning their character. But it is especially damaging when the branches of government themselves collide amidst a swirl of ethical accusations of gross institutional and personal misconduct; when the reputations and careers of public officials in one branch of government and the integrity of the branch itself are put at risk by the accusations of another. In February 2000 our state was gripped by the historic saga of a judicial impeachment proceeding involving the state Supreme Court. The legislative hearings and Senate trial that followed consumed the radio and air waves in New Hampshire for weeks with live coverage, flooded the front pages of our newspapers with headlines and ended with the overwhelming acquittal of a Chief Justice. Those tumultuous months that stretched from February to October of that year threatened the reputations of public officials, the basic integrity of a branch of government and the working relationships among the branches of our state government for years to come. 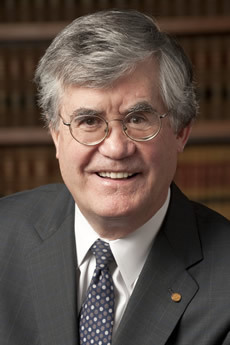 Former Chief Justice John T. Broderick Jr. was the newest member of the Supreme Court in 2000. He buckled in for the ride of his professional life. He stepped down from the Court for months, testified in the multi-week televised House hearings before the Judiciary Committee and in the Senate trial of the Chief Justice. He will give the Forum a unique and granular perspective on those months inside the bubble and their near-destructive impact on his long-held aspirations for public service. Though this situation occurred fifteen years ago, it introduced elements of political behavior which have continued to be a deterrent to effective government in New Hampshire. How can we restore integrity to the relationship between our branches of government, while still allowing for diverse opinions and candor in expressing them? Following Judge Broderick’s presentation the floor will be open to moderated questions. The Walter Peterson Forum takes place in Bass Hall, at the Monadnock Center for History and Culture. The event is open to all and free of charge. John Broderick was a civil trial lawyer in New Hampshire for twenty-two years before taking a seat on the New Hampshire Supreme Court where he served for fifteen years, the last seven years as Chief Justice. He is a Fellow of the American College of Trial Lawyers and for many years before his appointment to the New Hampshire Supreme Court, he was listed in “Best Lawyers in America.” He holds an AV rating from Martindale-Hubbell. During his time in practice, Judge Broderick spoke at numerous trial practice CLE programs throughout the state. He also served as President of both the New Hampshire Trial Lawyers Association and the New Hampshire Bar Association. After becoming Chief Justice, Judge Broderick established the first-ever judicial branch office of Mediation and Arbitration that introduced alternative dispute resolution throughout the entire court system, including the Supreme Court. He focused on making the cost of litigation more affordable, streamlined and understandable while also providing “off ramps” for early and thoughtful case resolution. Judge Broderick was an active member of the Conference of Chief Justices and often spoke nationally on the need for civil justice reform and state court redesign. During his judicial service, Judge Broderick twice received the Justice William A. Grimes Award for Judicial Professionalism. 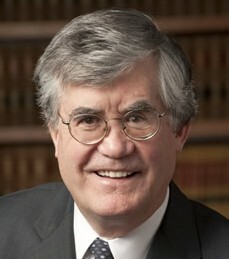 Judge Broderick left the Supreme Court in late 2010 to lead the University of New Hampshire School of Law as Dean. He is now devoting his full-time attention to alternative dispute resolution. He has a real-world appreciation of the rigors, benefits, costs, uncertainties and limitations of litigation, the challenges of lawyering, the critical nature of client expectations and the value of a just resolution. His many years of trial practice and appellate service will assist counsel and the parties to achieve timely and thoughtful resolution of civil disputes. There was no one who epitomized the spirit of civil discourse more than the late Governor Walter Peterson. 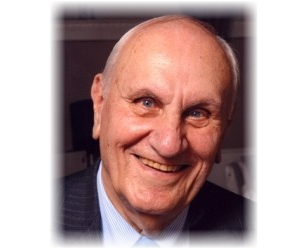 Walter spent most of his adult life as a resident of Peterborough, where he made significant contributions to the community, including serving as town meeting moderator for 27 years. He served as Governor of New Hampshire from 1969 – 1973. In 1975 he became President of Franklin Pierce University, a position he held for 20 years. After his retirement he continued to be involved in the New Hampshire political environment, and was widely respected for his efforts to bridge across partisan divide. Quite simply, he was a voice of reason. One thing that almost everyone can agree on today is that the manner in which we choose to disagree with each other is increasingly acrimonious. Intelligent, respectful discussion is becoming hard to find. But people are yearning for such experiences. The Walter Peterson Forum for Civil Discourse has been created the Monadnock Center for History and Culture in partnership with the New England Center for Civic Life at Franklin Pierce University, and in collaboration with the Monadnock Ledger Transcript, to honor Walter Peterson and his commitment to fostering open and honest dialogue among individuals and groups with diverse perspectives. The Forum presents a speaker whose work and reputation is inspirational to those seeking elevate the level of discussion of civic and political issues. The presentation will be followed by a moderated conversation which will be conducted in the spirit of deliberative discussion and respectful engagement. The goal is not for participants to advance opinions against each other, but to be willing to consider alternative points of view, and to cultivate the tools that civil discourse requires. Presenters will have the option of speaking on the subject of civil discourse itself, or of choosing a currently important topic and exploring it in a way that reveals how people might arrive at different viewpoints. Presenters will be asked to provide sufficient information about their proposed topic that a strong press release can be generated, and to work with the Forum producers as needed to refine that message, with the goal influencing the quality as well as the quantity of attendance. Founded in 1902 as the Peterborough Historical Society, the Monadnock Center for History and Culture has evolved over the last three years with a new name and expanded mission. Committed as ever to preserving the past and being the custodian of Peterborough’s historical archives, the Center also has a vision for involvement in the forward-looking civic life of the community. The concept for the Walter Peterson Forum for Civil Discourse emerged a means to honor the great contributions which Walter Peterson made to the town, the Monadnock region, and the State of New Hampshire. It also provides a way to extend his legacy through the encouragement of thoughtful discussion.